"She is in constant pain and not even medicines could help her. She cries uncontrollably that she ends up breathing hard gasping for air. Sometimes, she gets violent bout of hiccups, it is very loud and scary. It is painful to see my little child go through such pain at this tender age." - Anapurna, mother of Sivani. 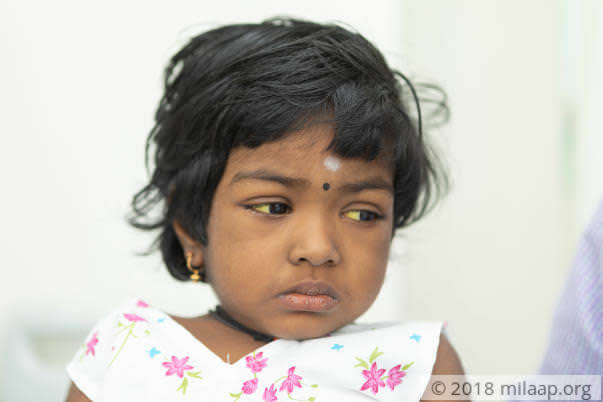 A year ago, Sivani suffered jaundice twice. Her parents believed that she will not be affected by it again as she had taken proper medication. But cruel fate had other plans for this young child. She suffered from jaundice again and the reports confirmed that she has a chronic liver disease. "We were happy to see her playing actively after recovering from jaundice. But within a few days, she got those familiar symptoms again. Her eyes were yellow and her urine was also deep yellow. I couldn't believe that she got it again, but what doctors told me was worse than what I imagined. 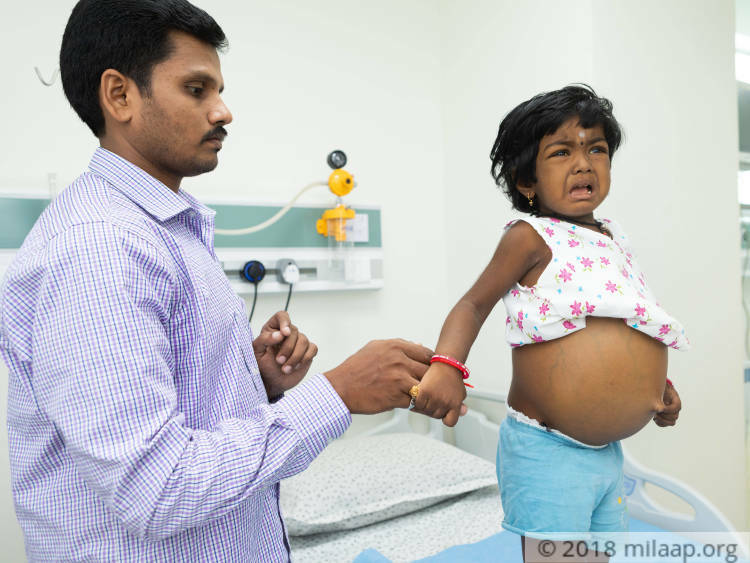 I was shattered completely when doctors said that my daughter's life is in danger and she needs an urgent transplant to survive."Anapurna. 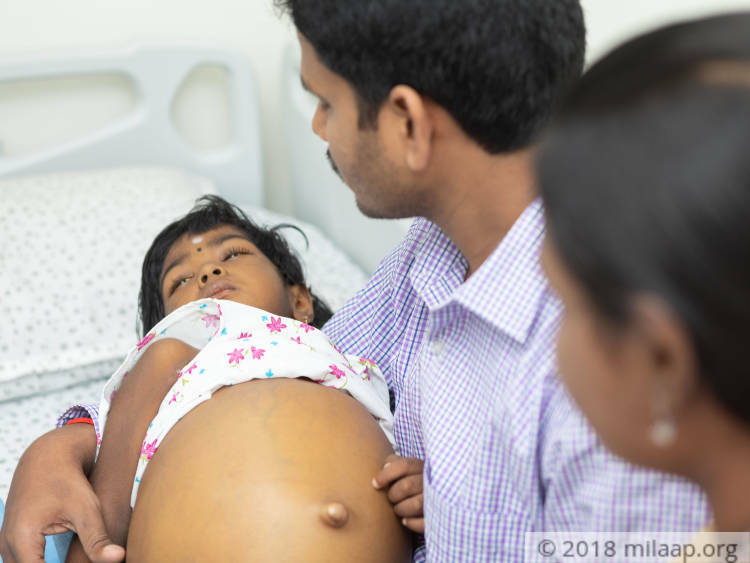 Sivani's liver has enlarged double the size of her stomach and it is bloated abnormally. She also suffers from severe breathing problem. 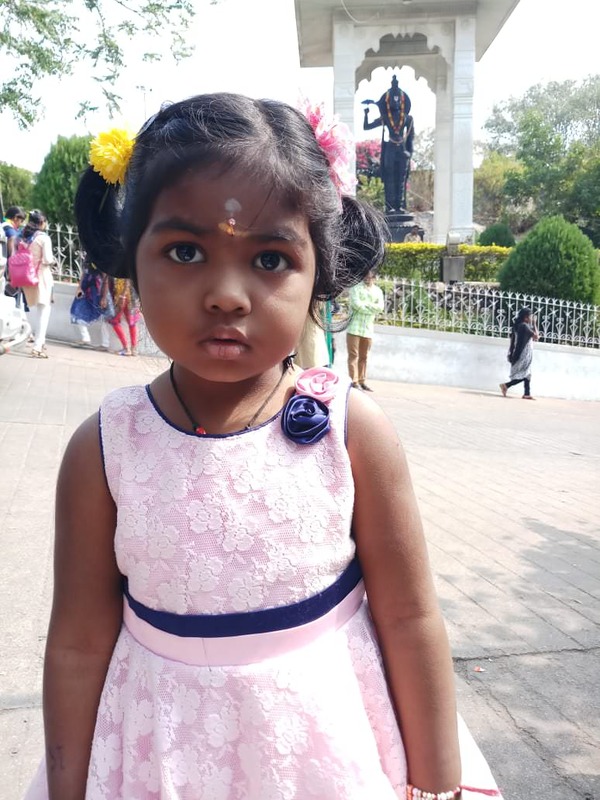 Sivani's condition has become critical as her liver is completely damaged. She needs to undergo liver transplant immediately within this week without which she might not be able to live long. "My daughter who loves to run around the house is not even able to walk now. The weight of her stomach is twice the weight of her body. She inconsolably cries due to extreme stomach pain and at times, she doesn't allow me to even touch her. All I am able to do is helplessly watch her suffer. As a mother, it is painful to see my little daughter going through so much. Srinivas Rao who is the sole breadwinner of the house works as a helper in a beauty parlor. He runs his family on his meager income but the cost of the treatment which is 16 lakhs is above his reach. The family has already spent Rs 50,000 and cannot afford to save their daughter's life. "I don't even have money to undergo a test that can confirm my donorship. I am volunteering to be a donor to save my daughter's life. My husband knocked on every door that he knows but he has always returned with nothing but tears. We have done everything that we could do and left with nothing but hope on crowdfunding," - Anapurna. 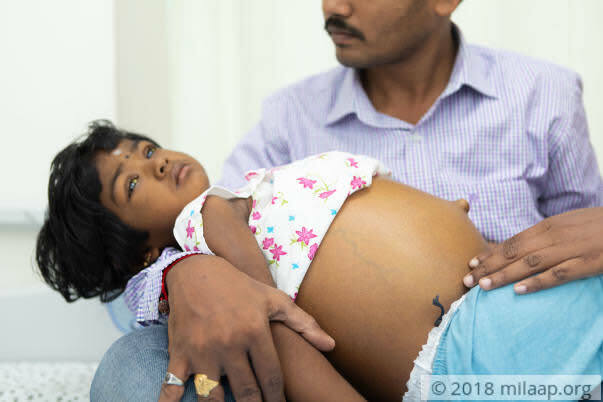 Sivani's liver is completely damaged and she is even struggling to breathe. Only an immediate surgery can save her life. The family desperately needs your help to save their only daughter's life. Sivani is currently at home and is doing well. She visits hospitals for her regular check ups. 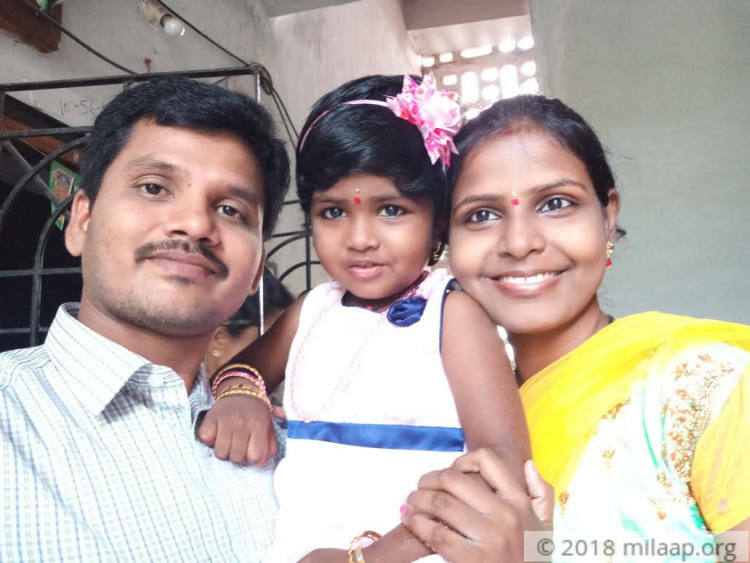 Sivani's family is really thankful to each one of you. 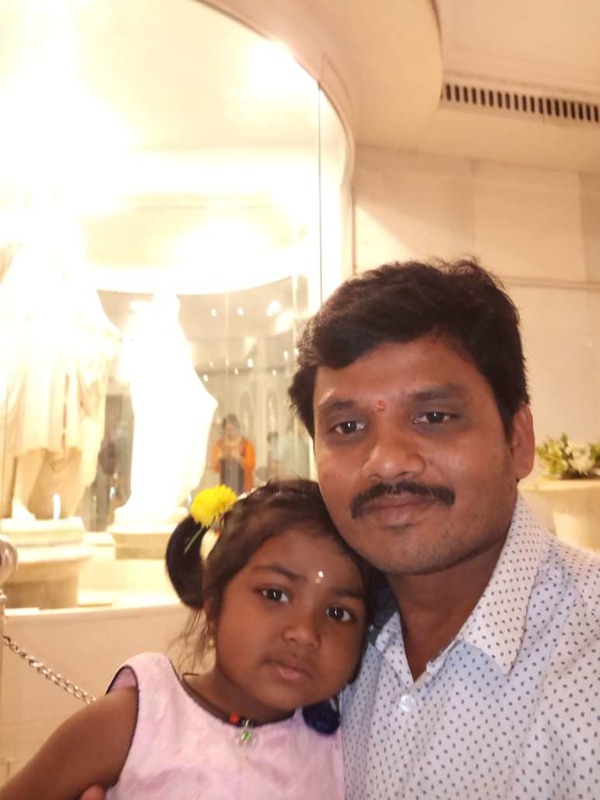 Here are recent photos of Sivani. Sivani is doing well now. There were no post-transplant complications and she was discharged from the hospital. As of now, she's at home and recovering. My family is really thankful to each one of you for the love and support which you have shown towards my daughter, may God bless you all. 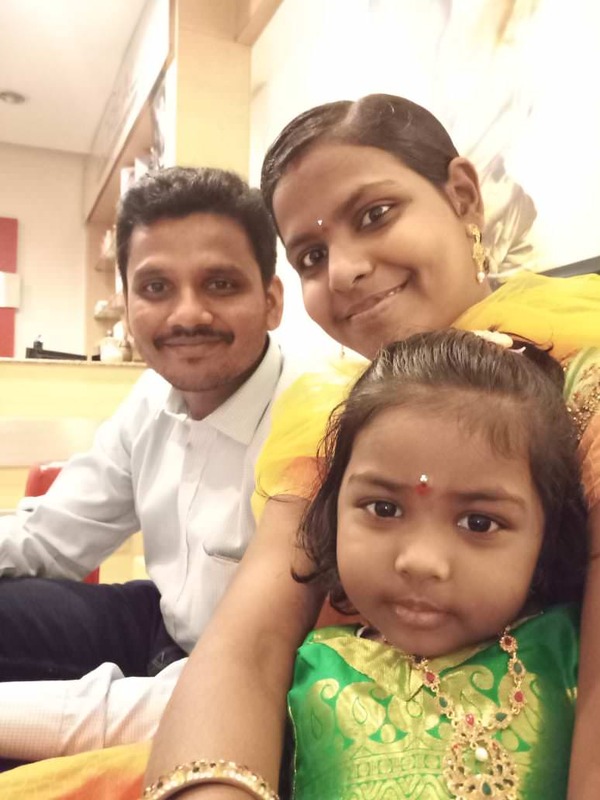 Thank you for the wonderful support that you have shown towards Sivani. She is doing better now and she successfully has undergone the liver transplantation. Her father was a match and he donated a part of his liver to her. He is also doing well. The doctors have advised her to be under observation and they will be monitoring her health closely until she recovers. Thank you once again. Please do pray for her health and speedy recovery. Will keep you posted.